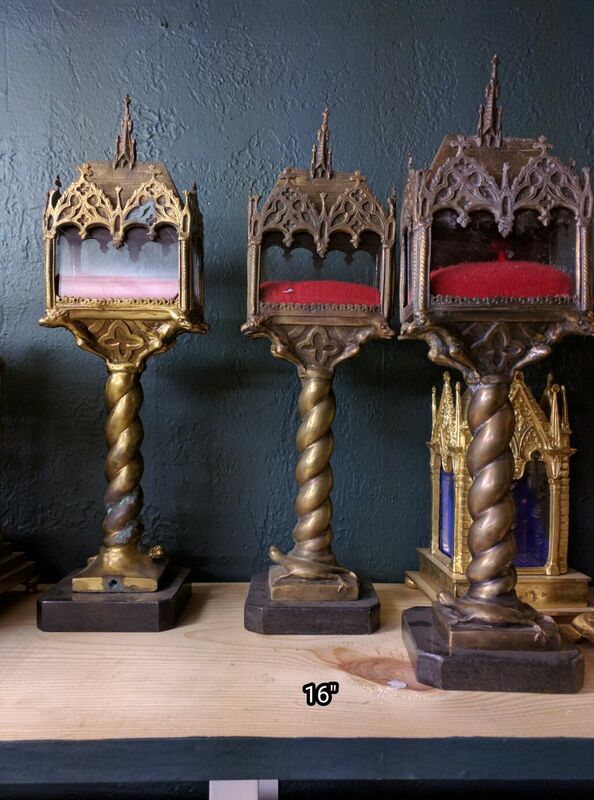 A memorial of departed saints, our shrines are worthy of this honor they were intended for. 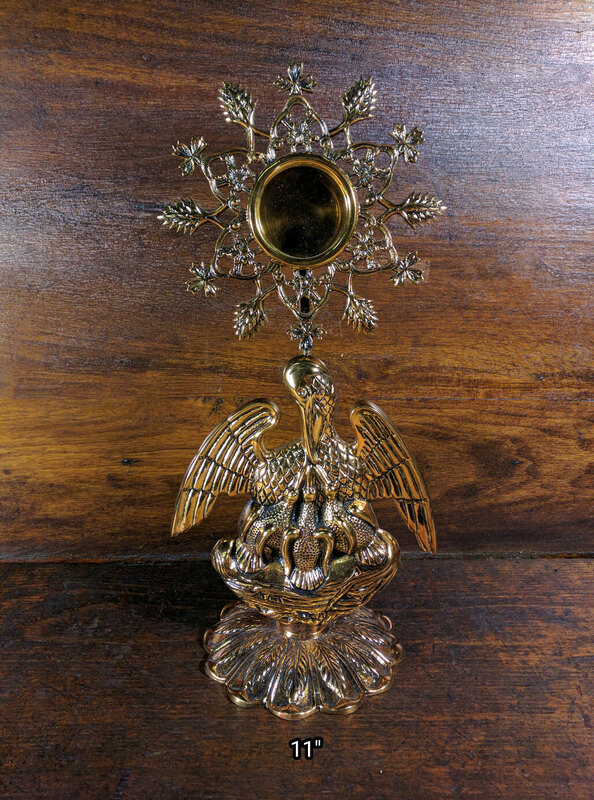 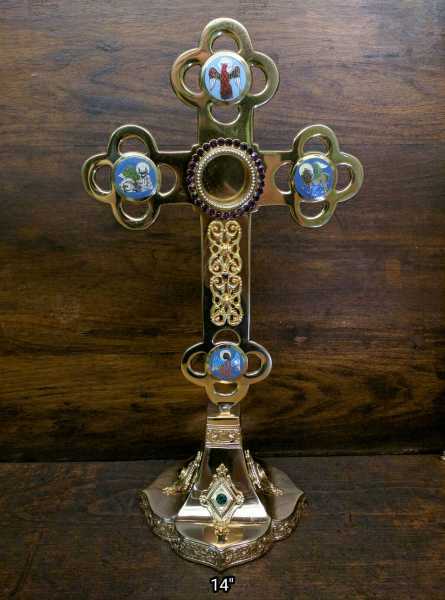 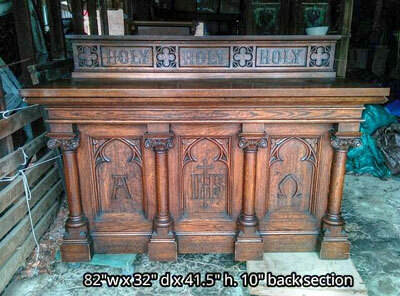 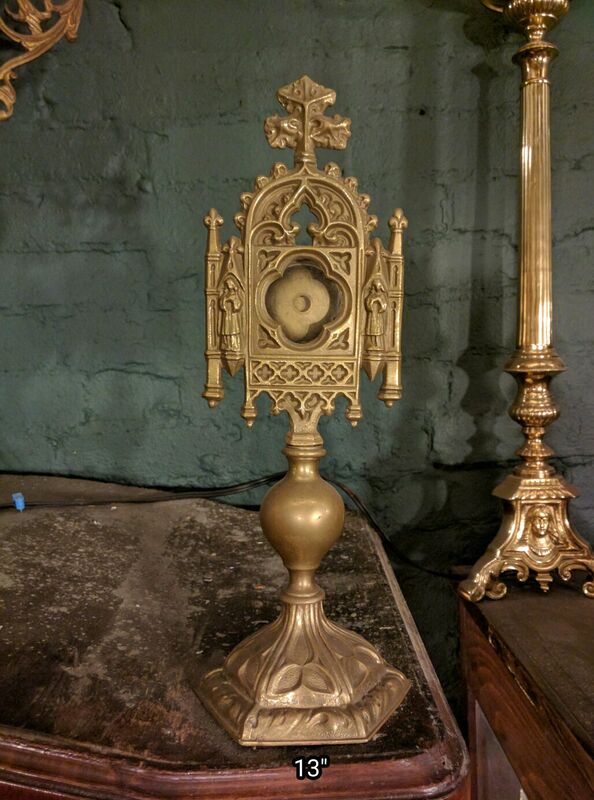 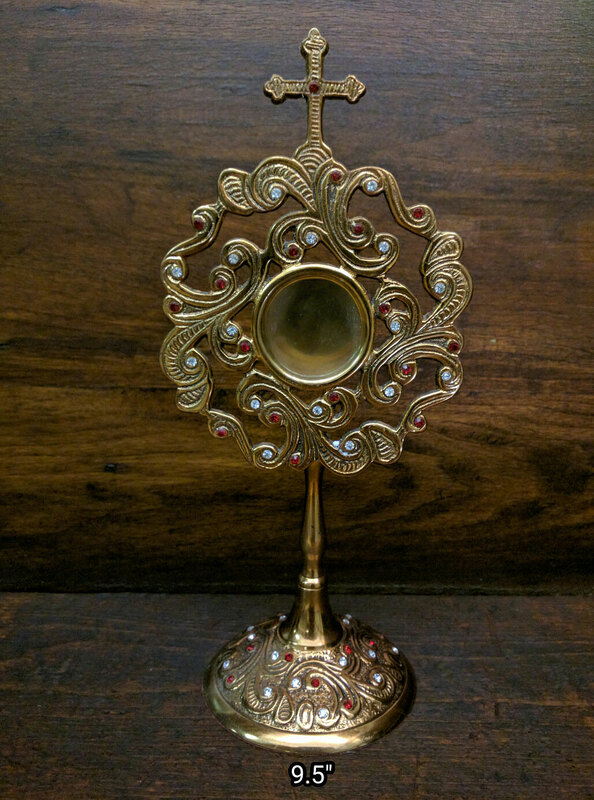 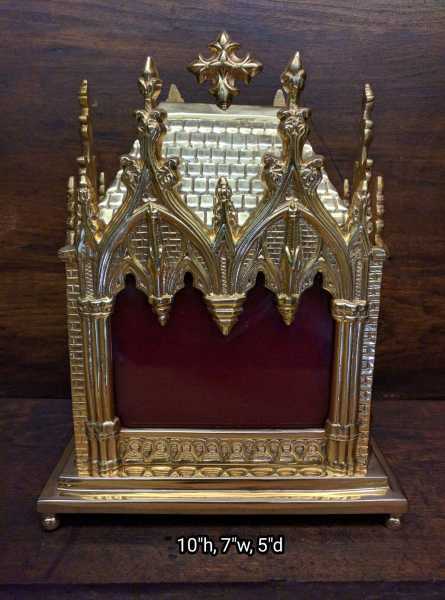 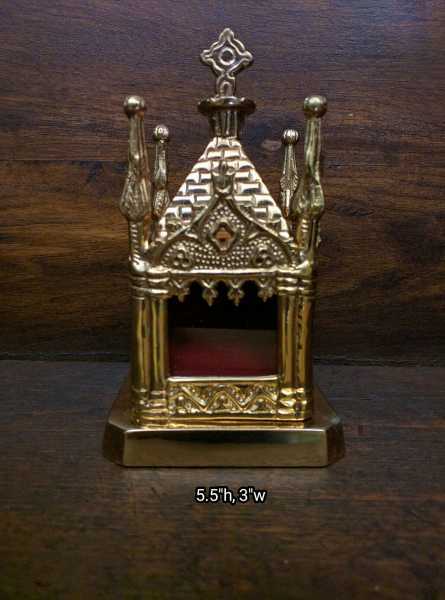 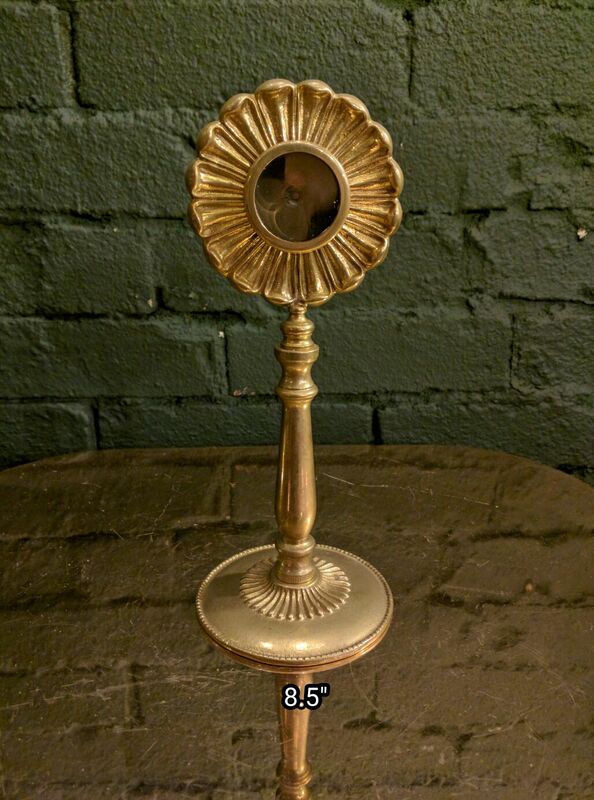 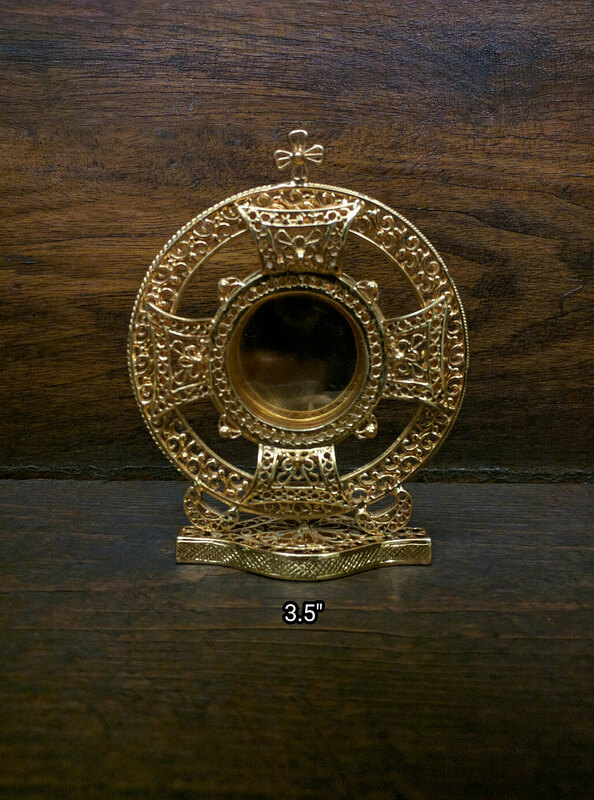 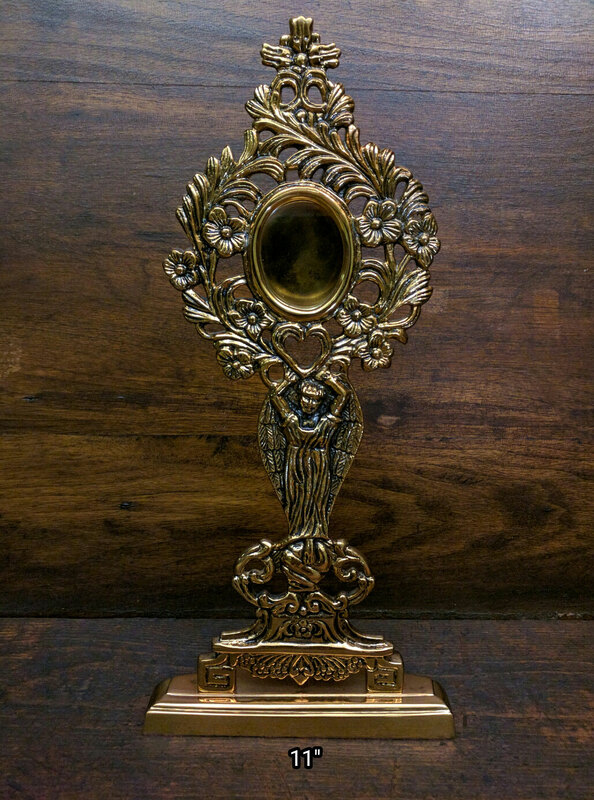 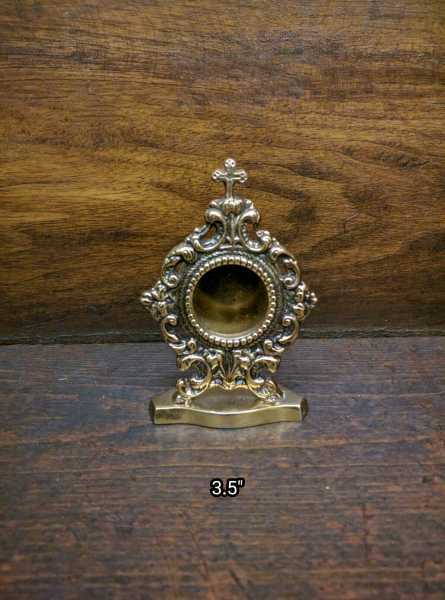 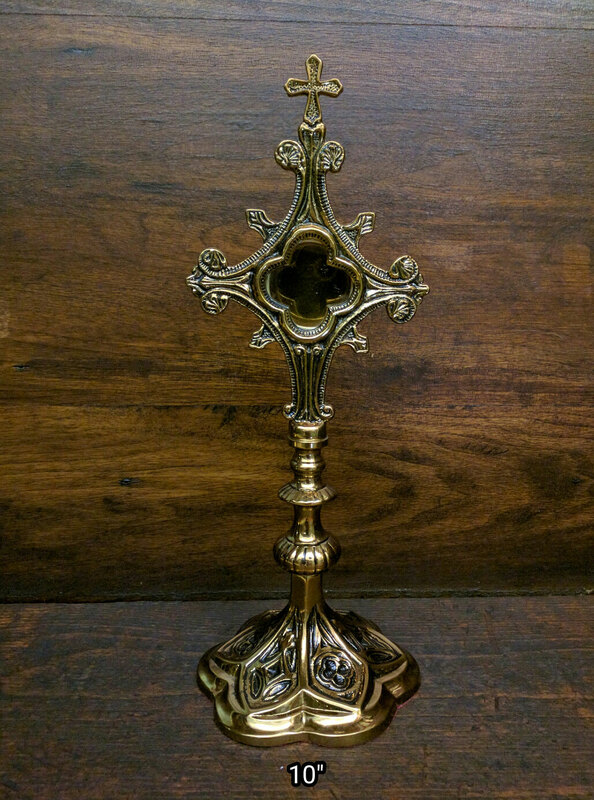 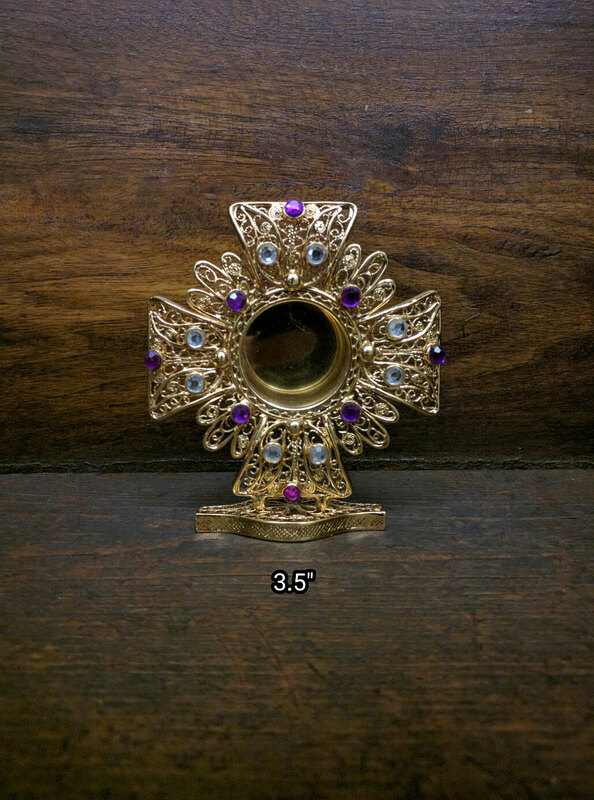 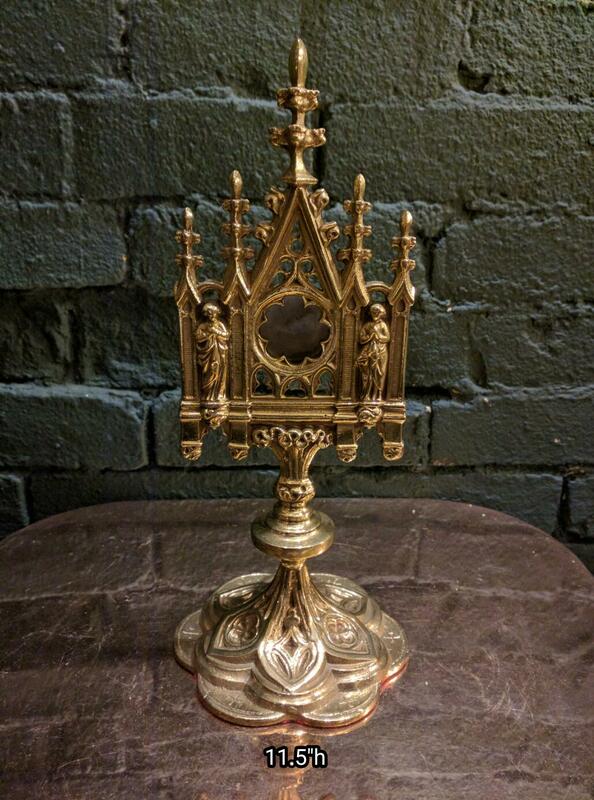 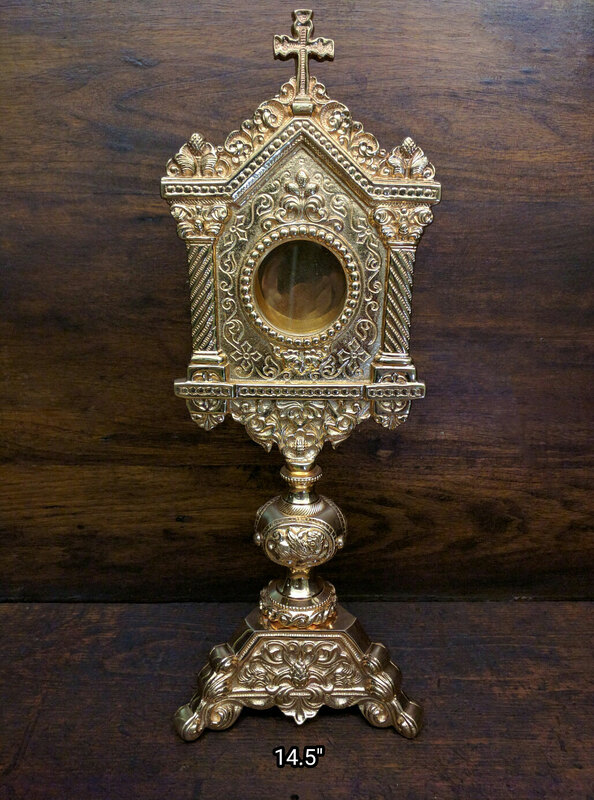 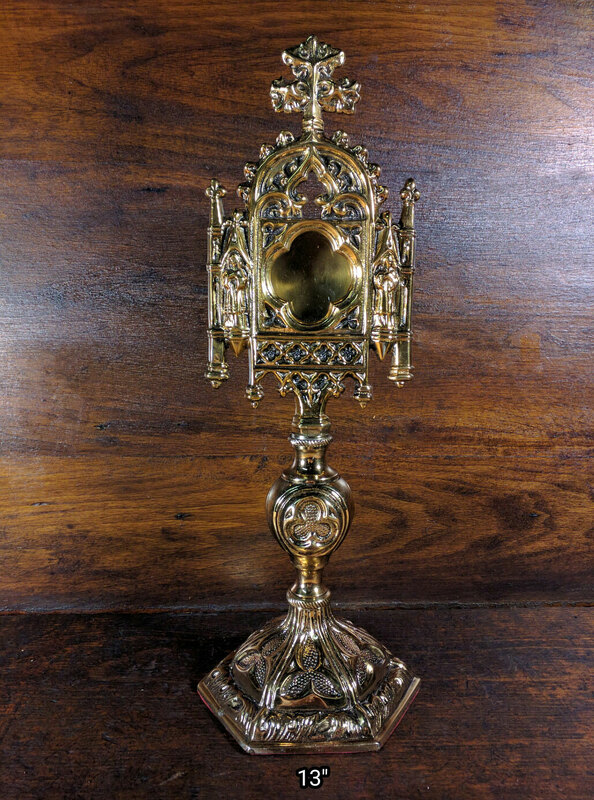 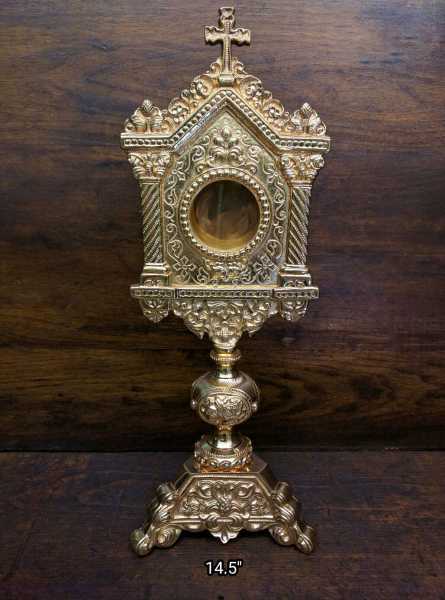 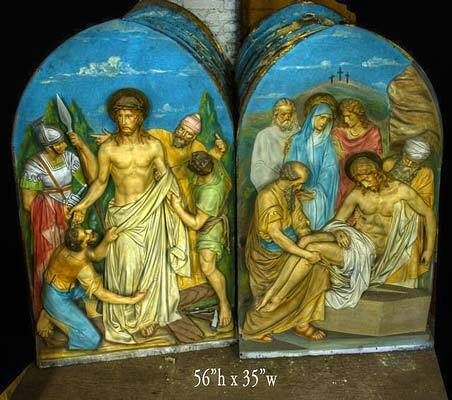 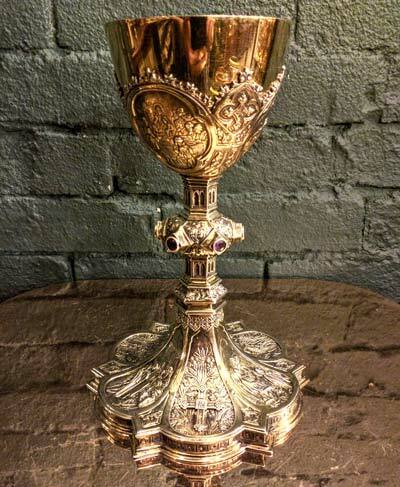 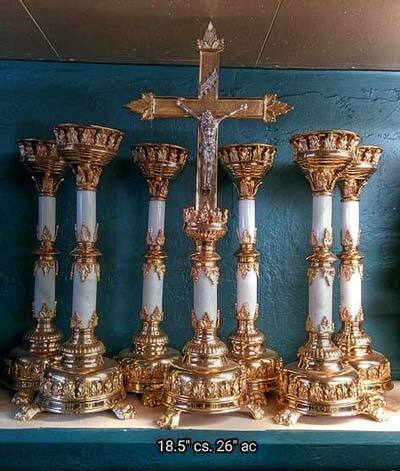 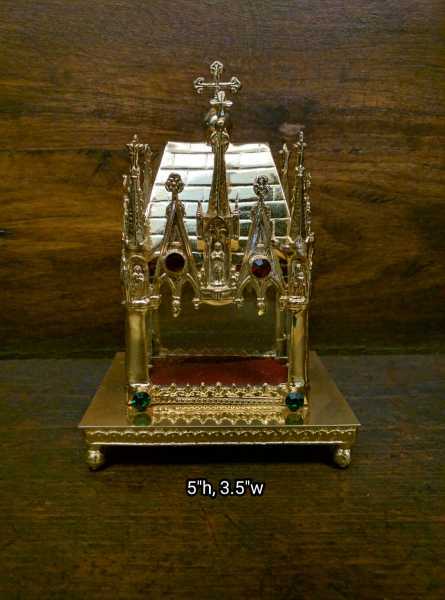 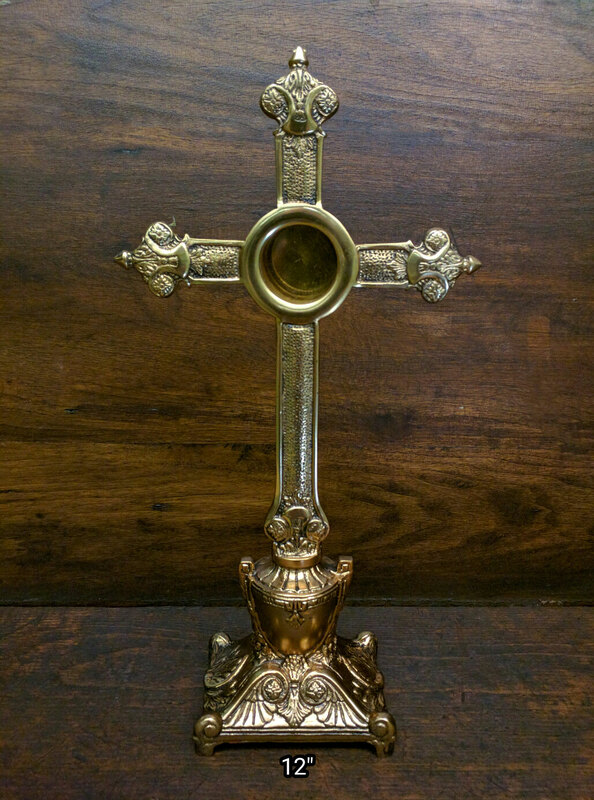 + Images in this gallery show many of the reliquaries for relic veneration we have for sale. 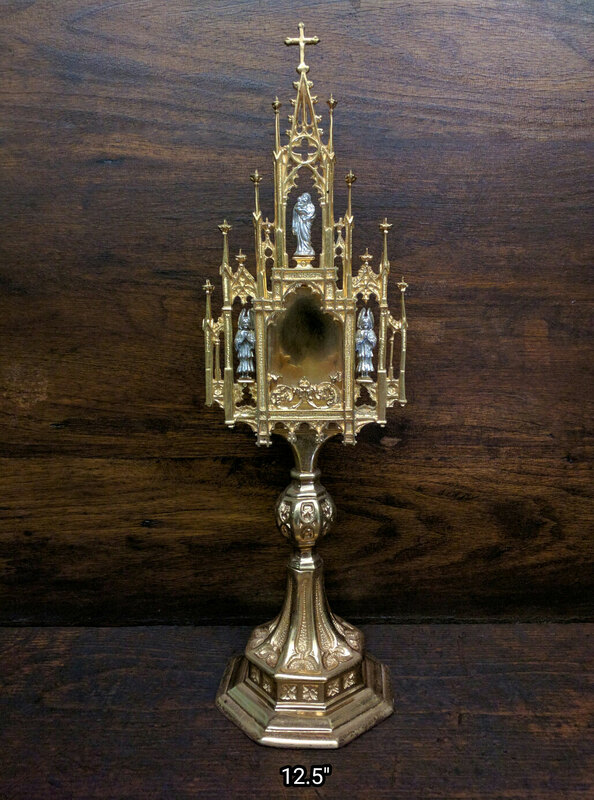 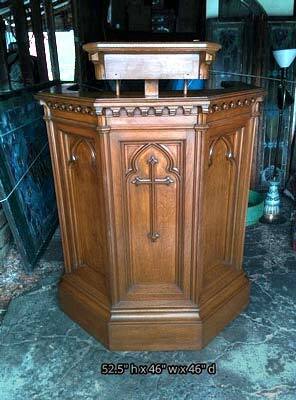 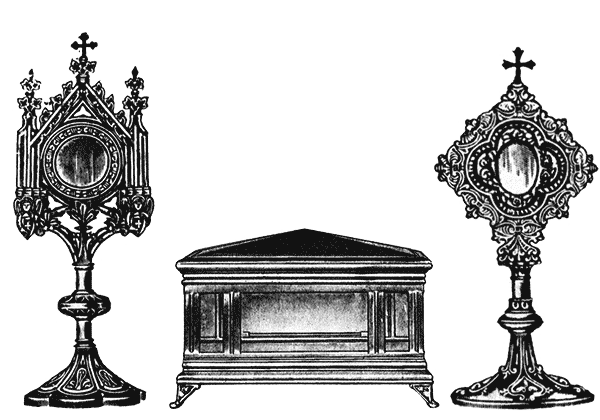 + We buy used reliquaries, relics for veneration, and entire church contents confidentially. 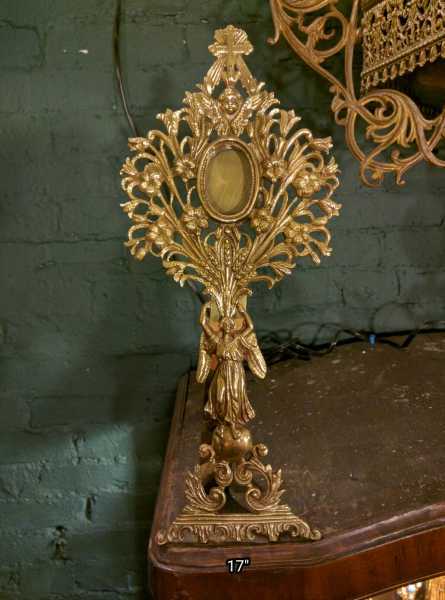 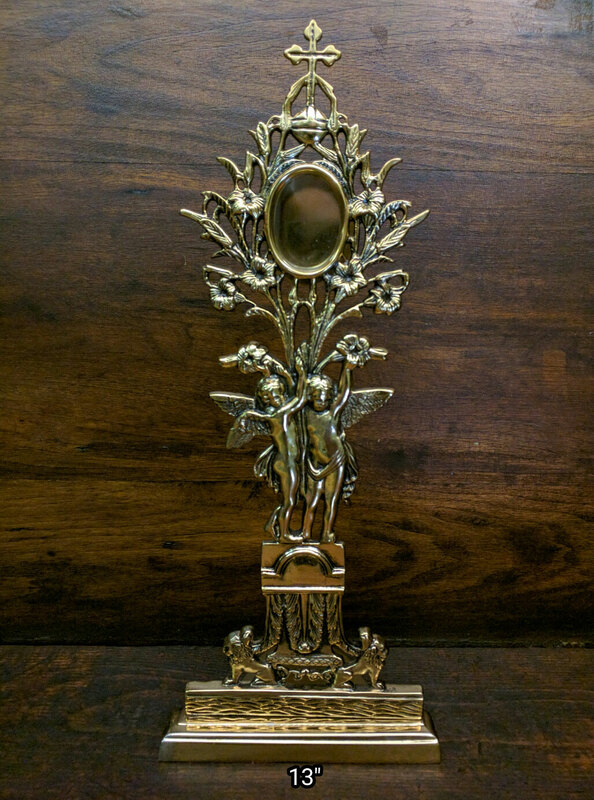 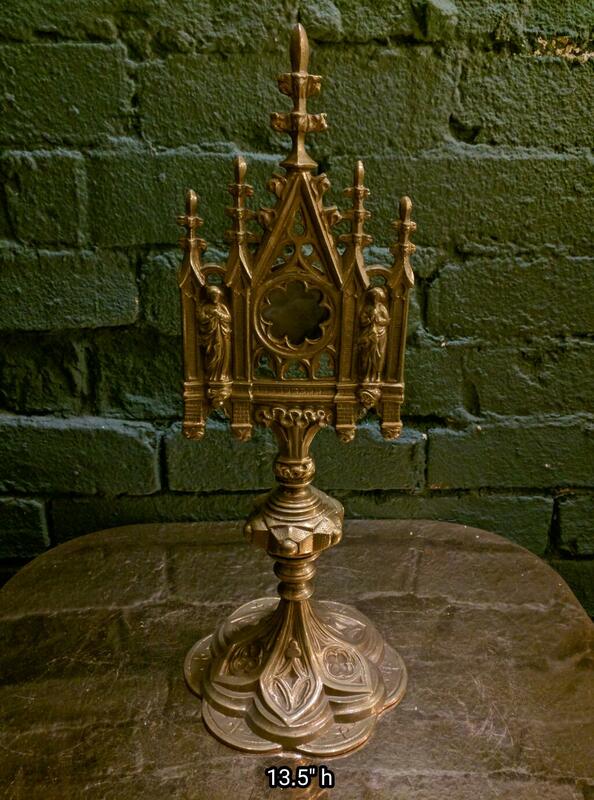 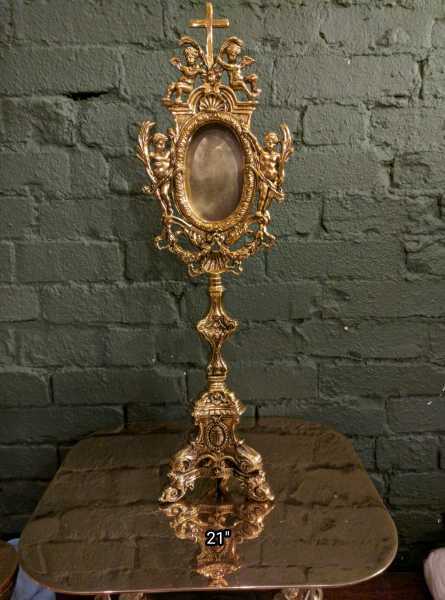 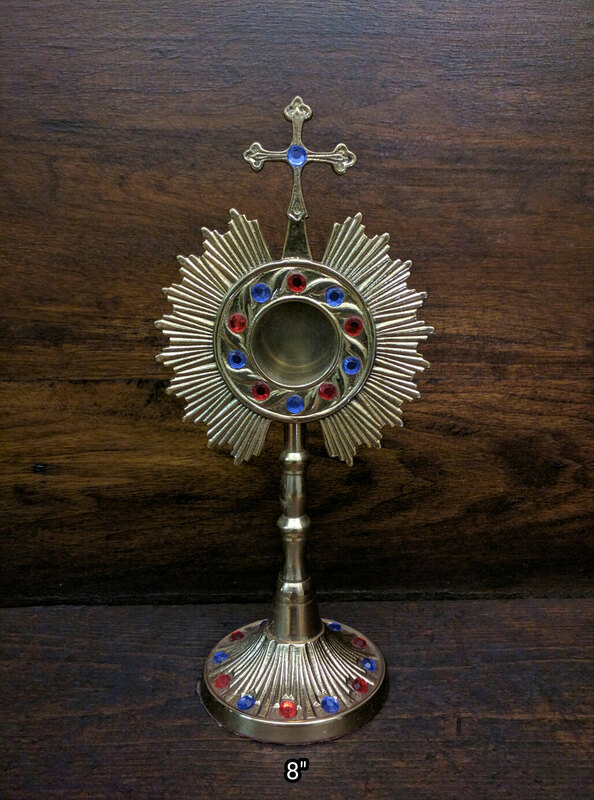 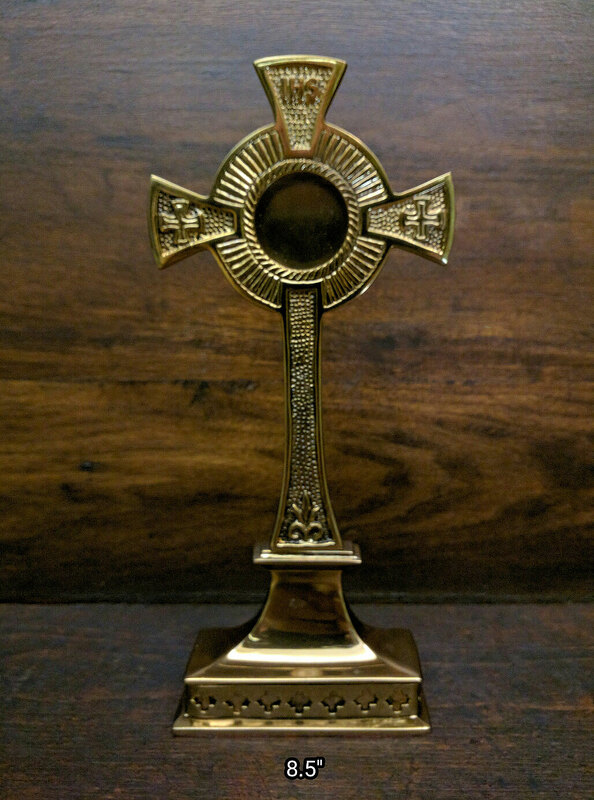 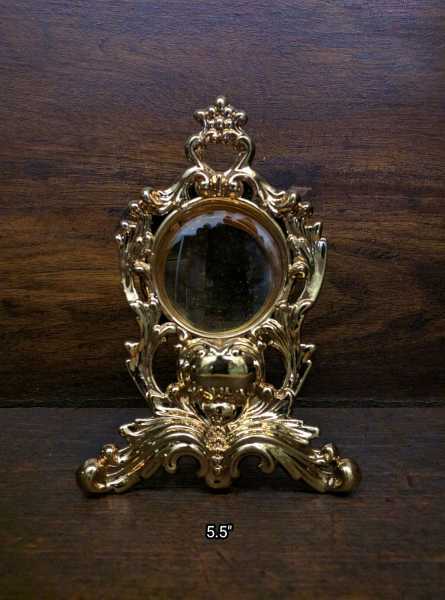 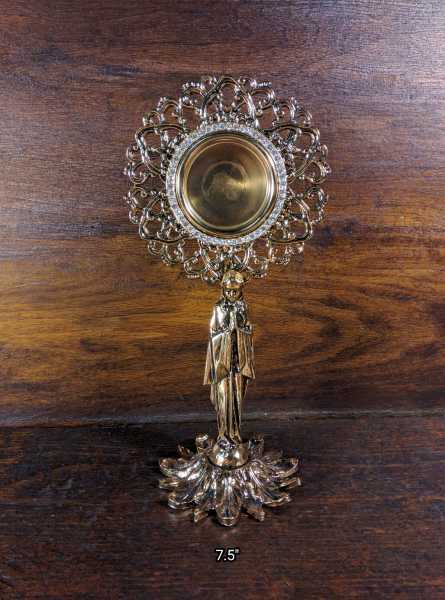 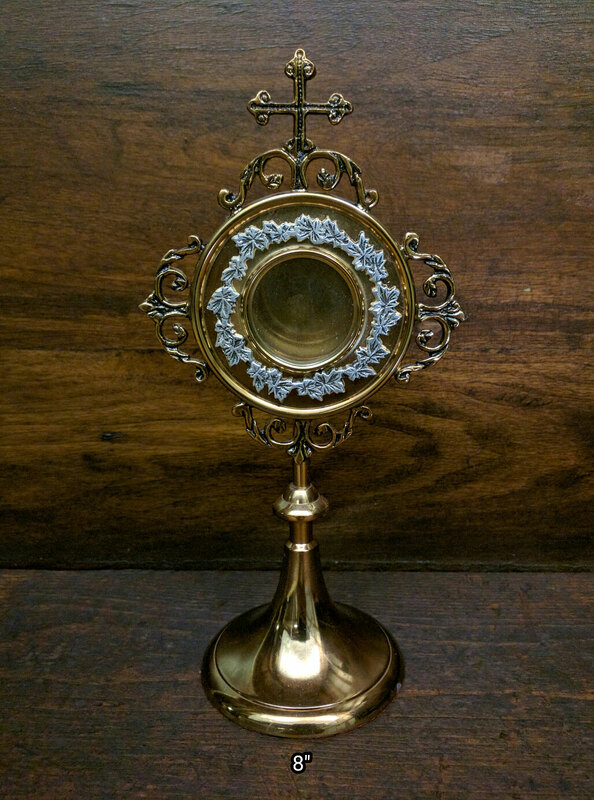 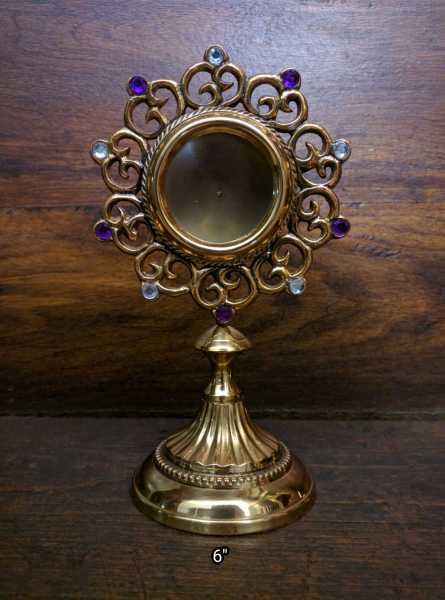 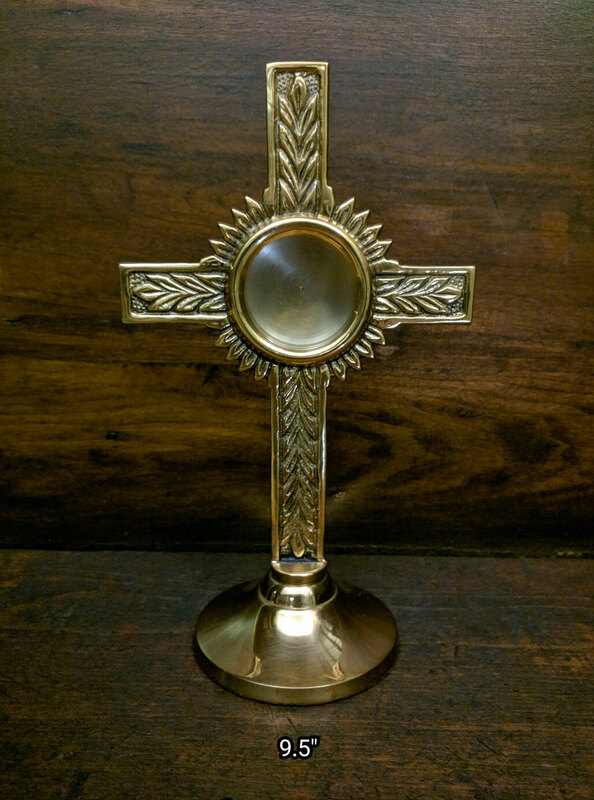 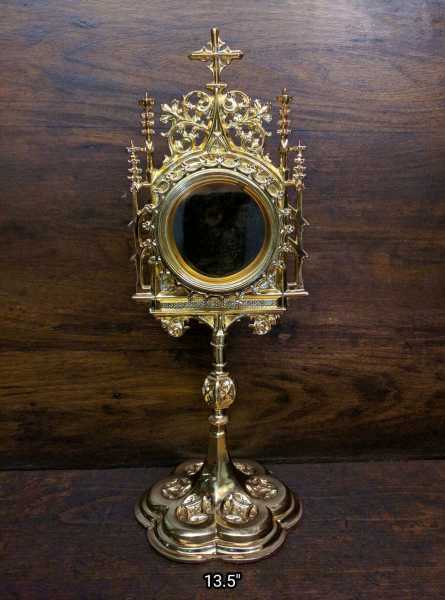 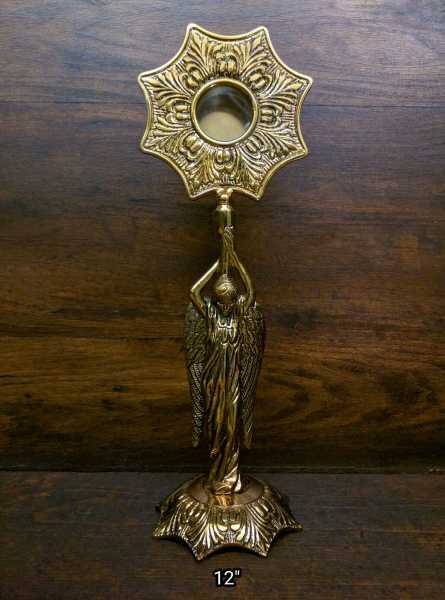 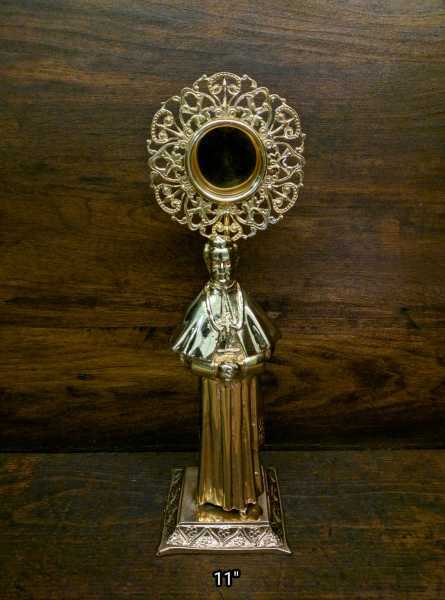 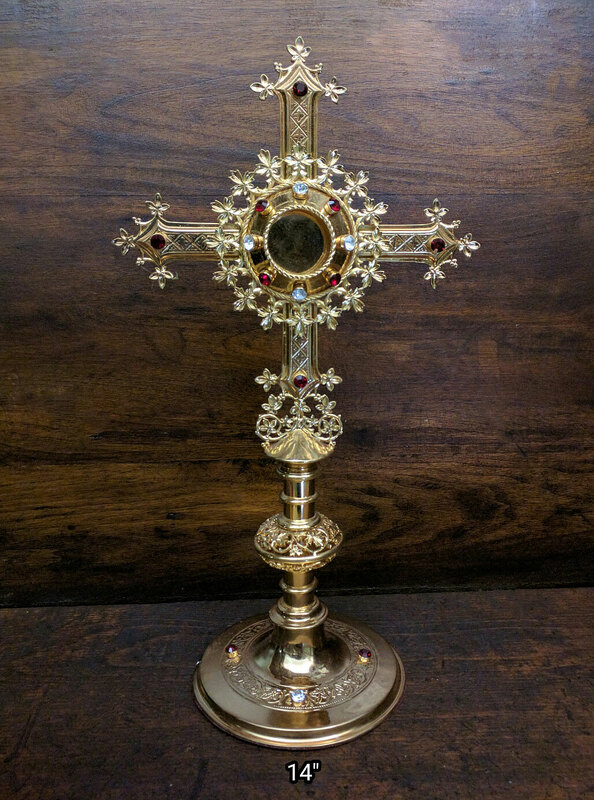 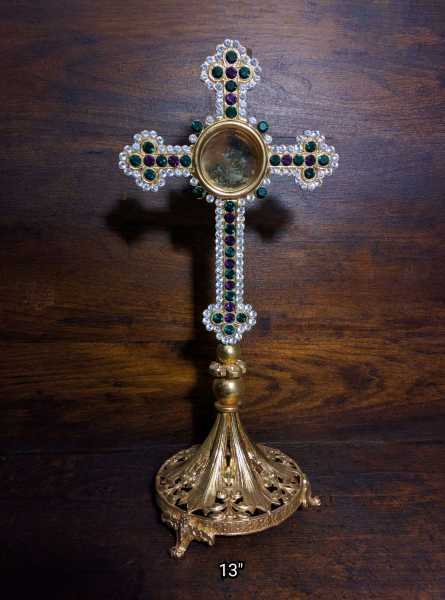 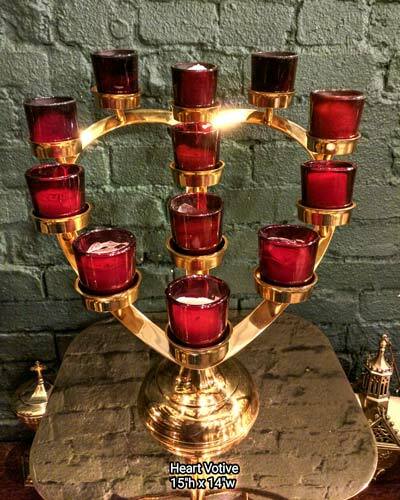 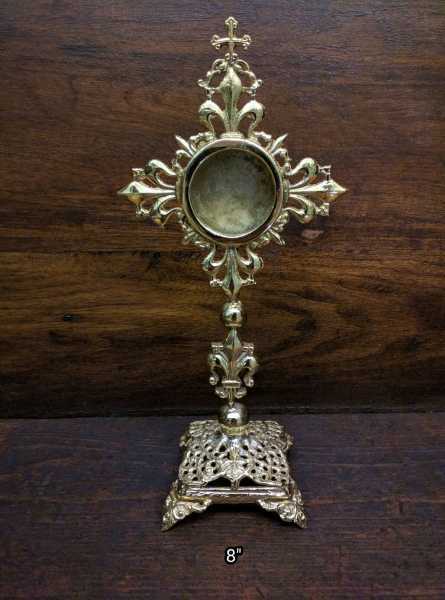 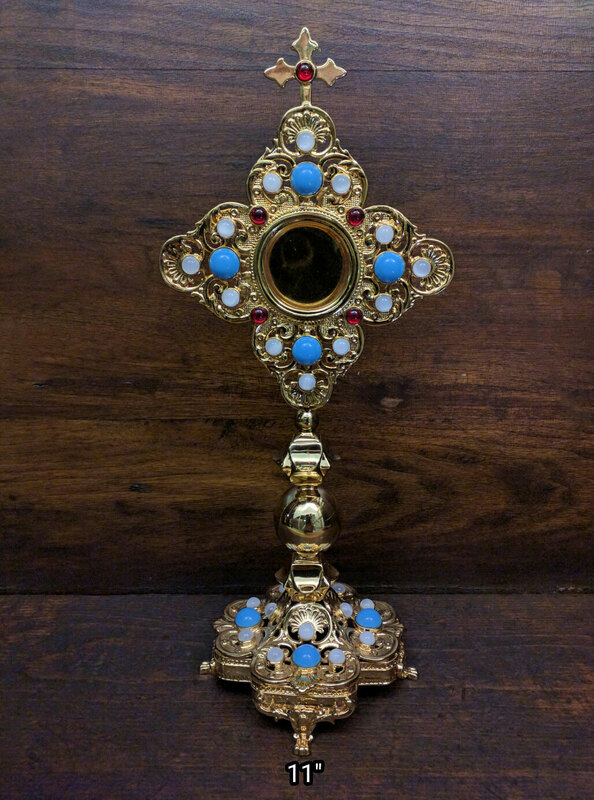 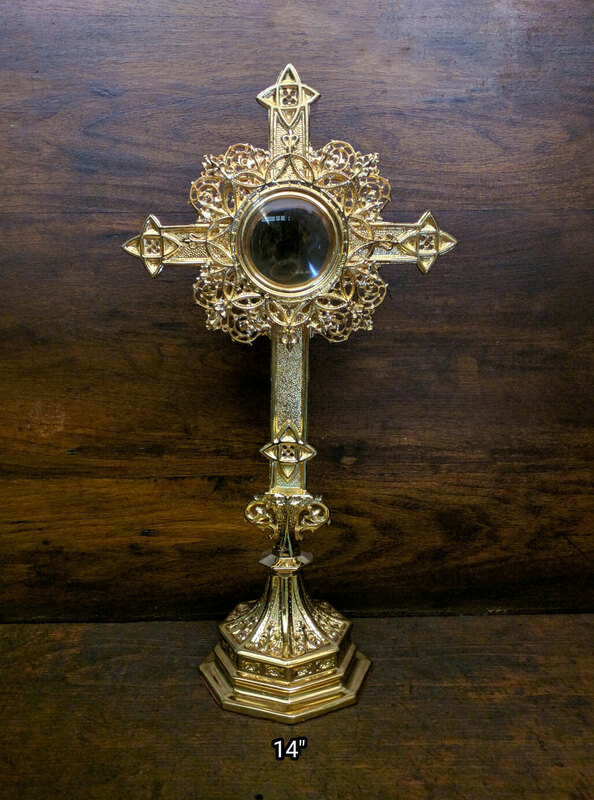 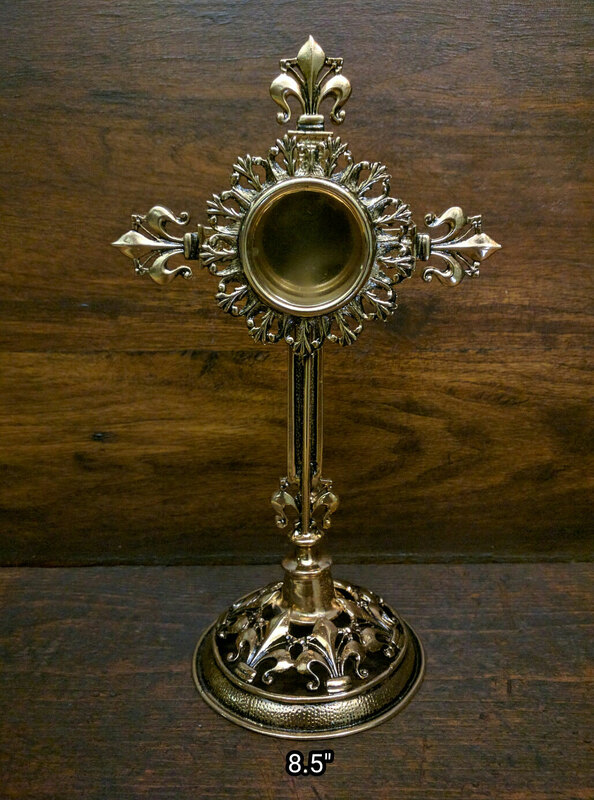 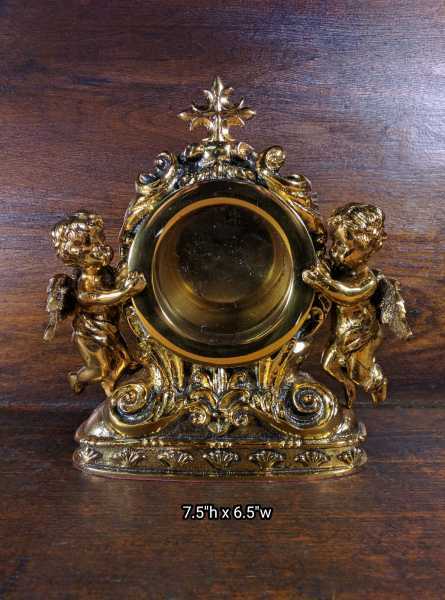 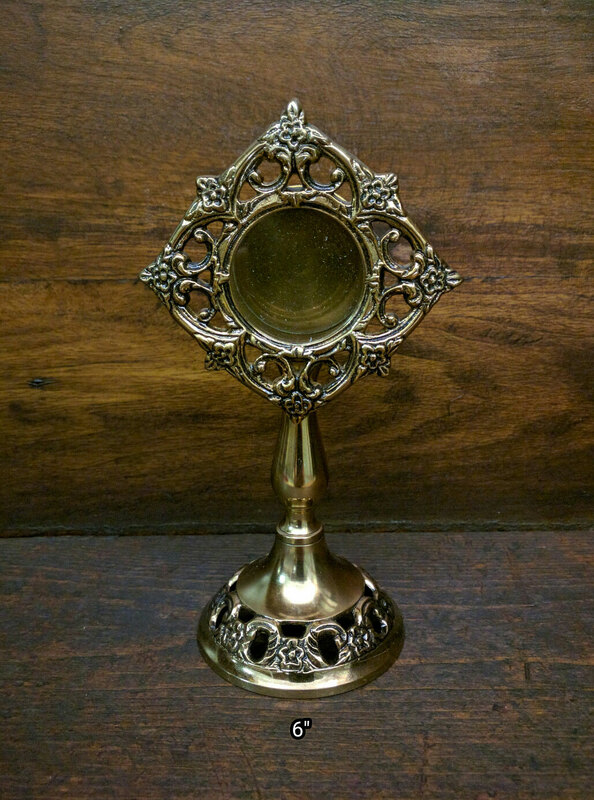 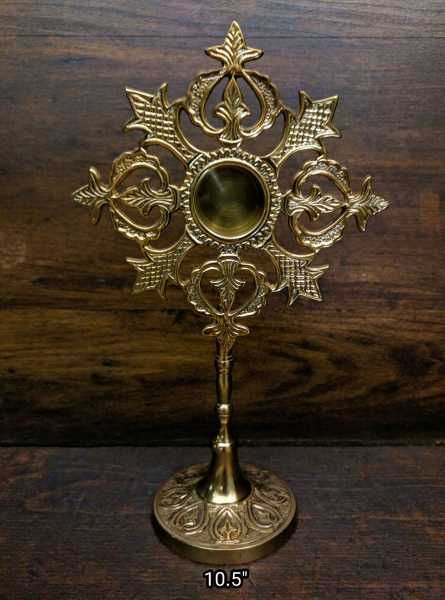 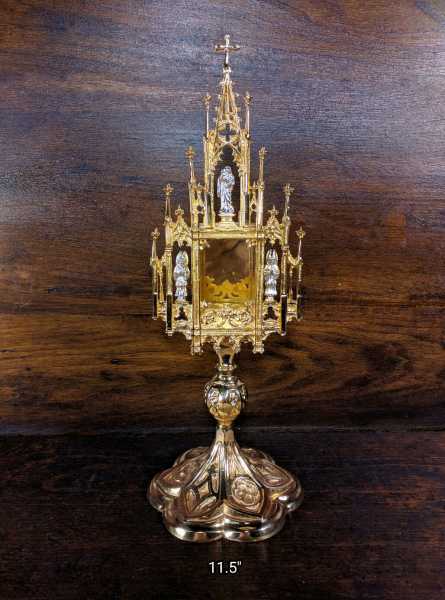 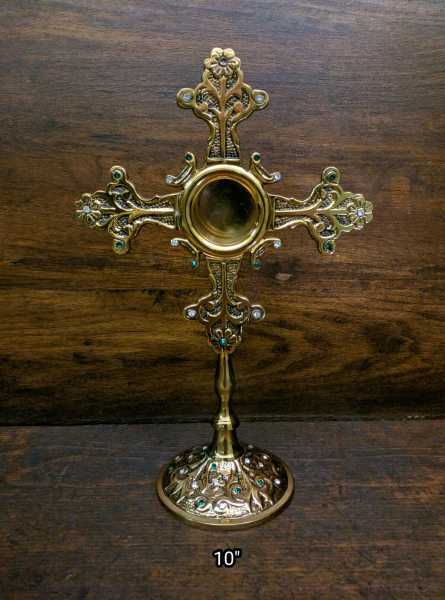 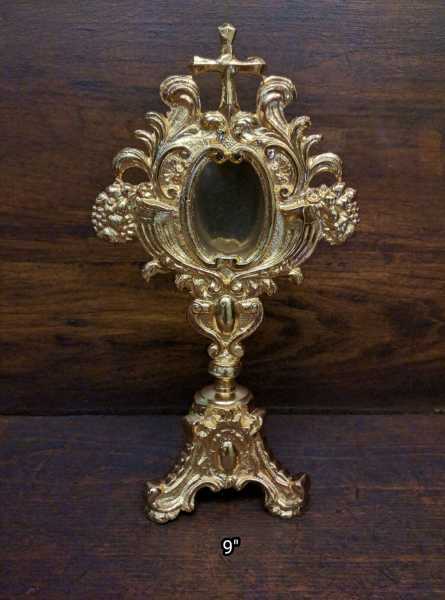 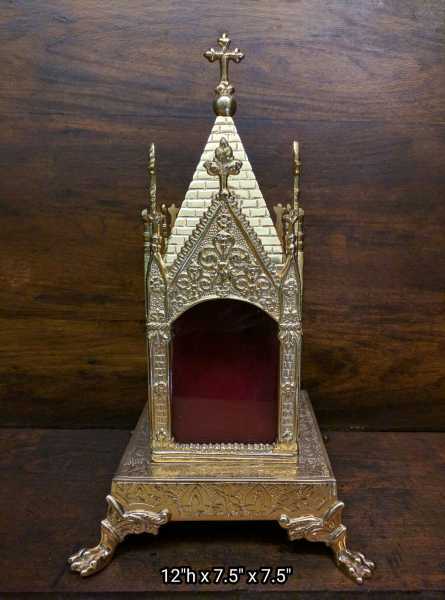 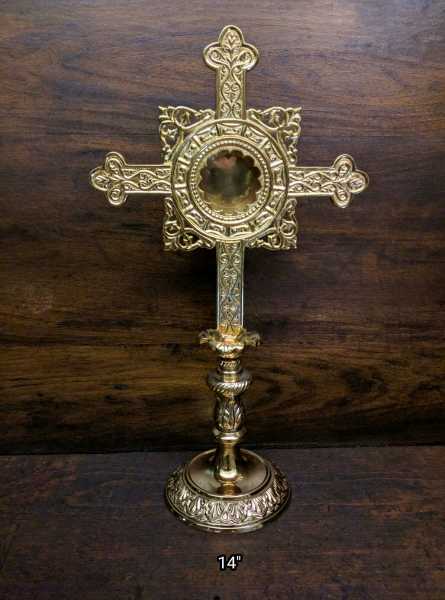 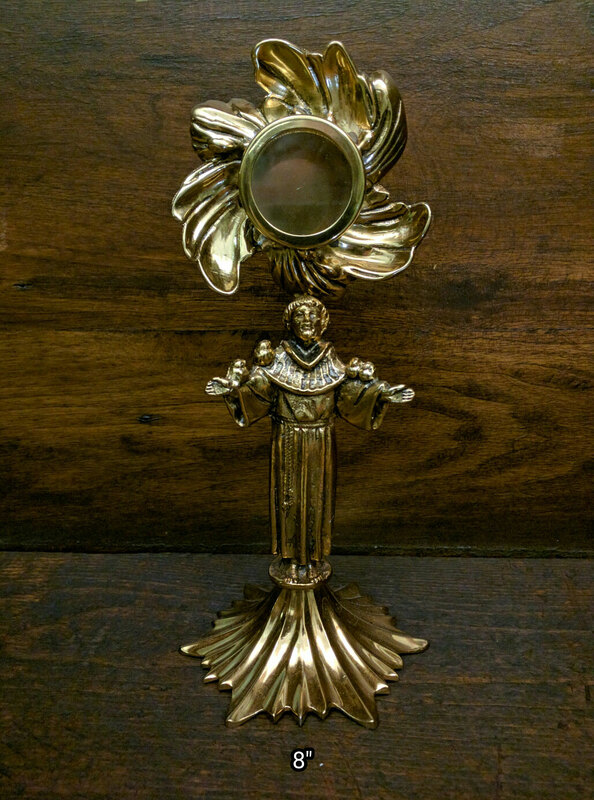 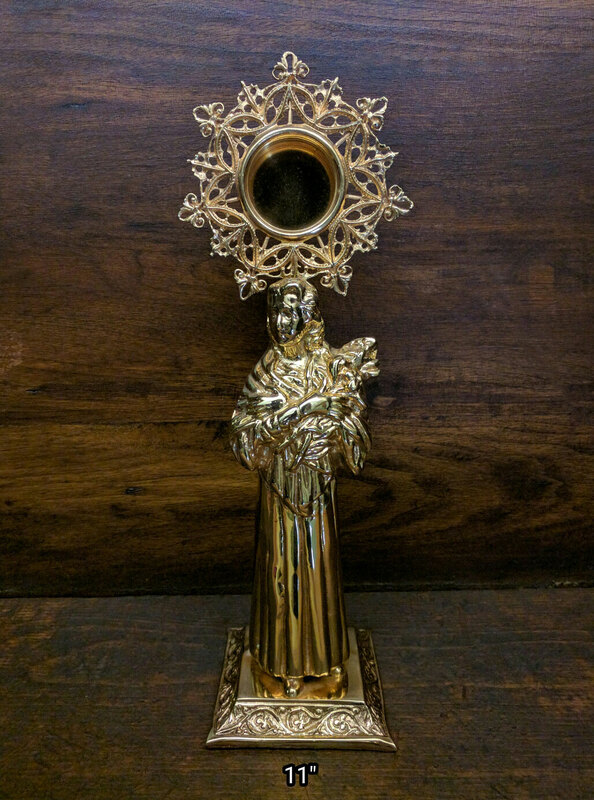 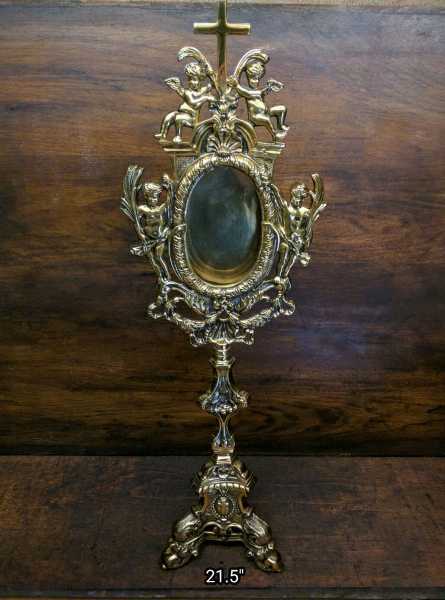 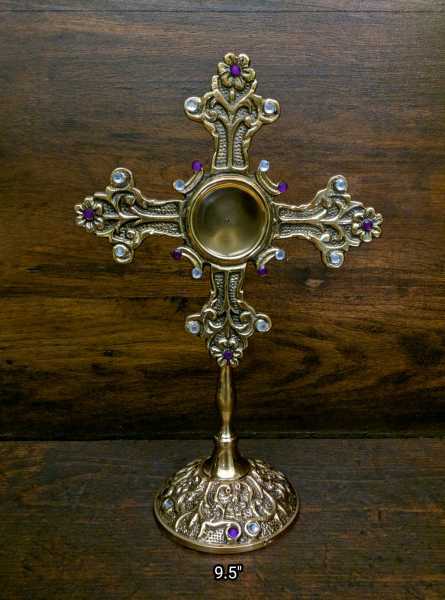 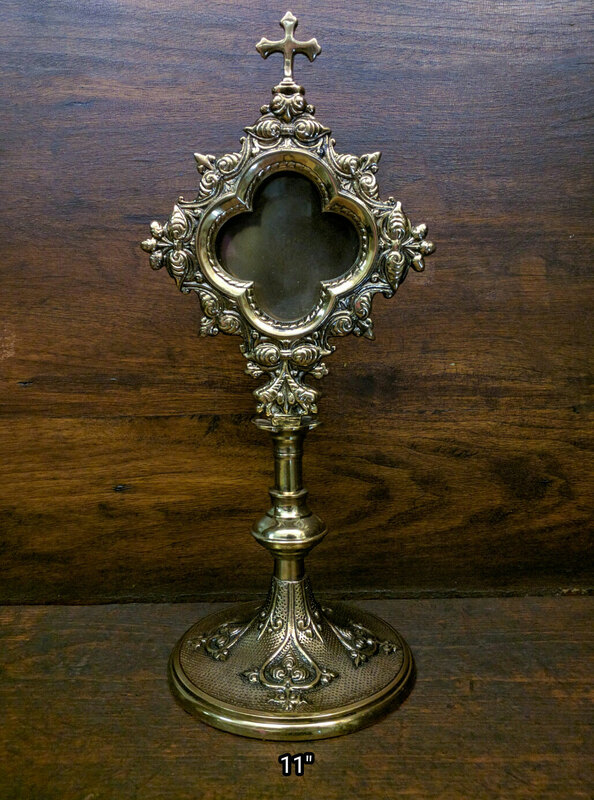 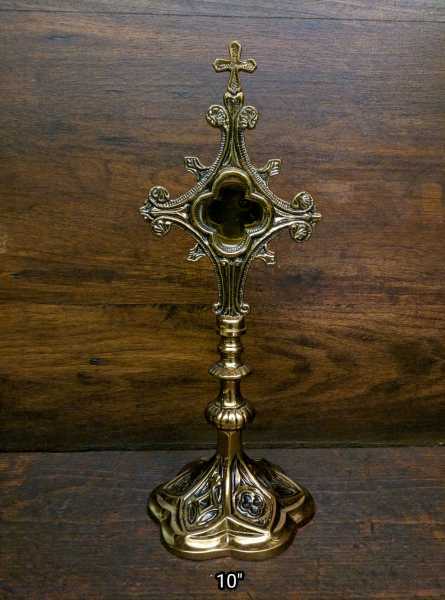 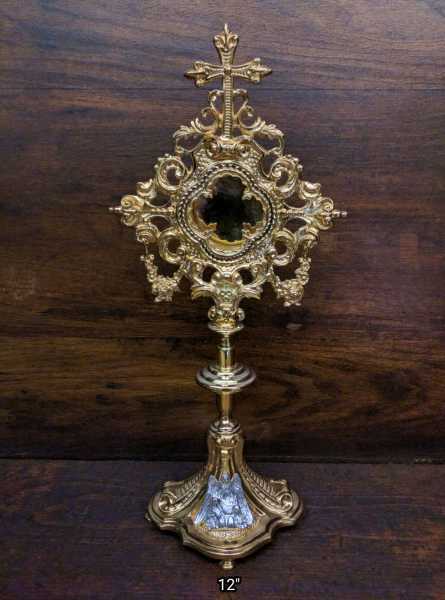 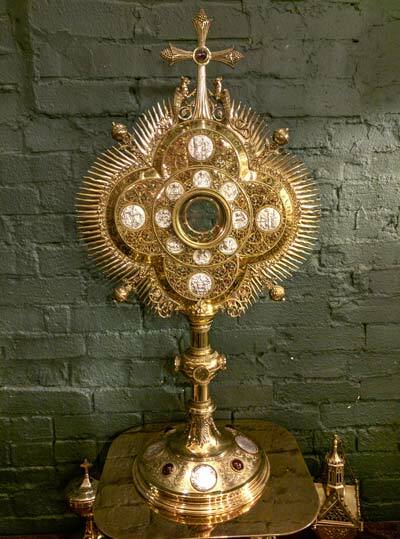 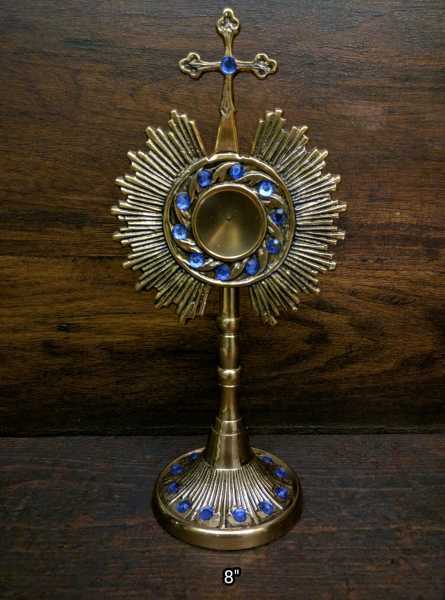 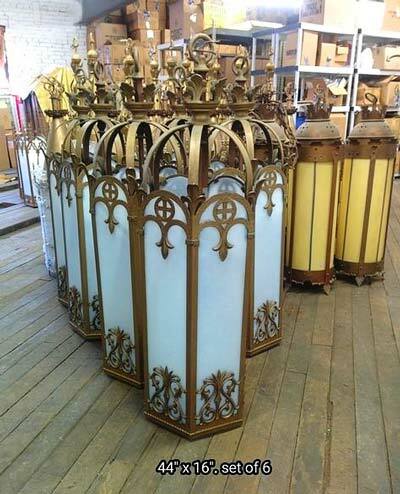 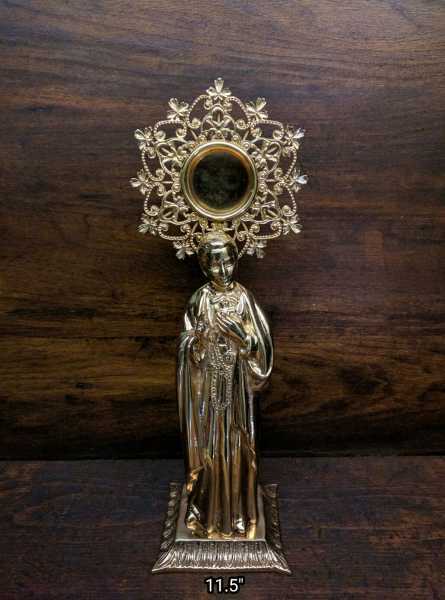 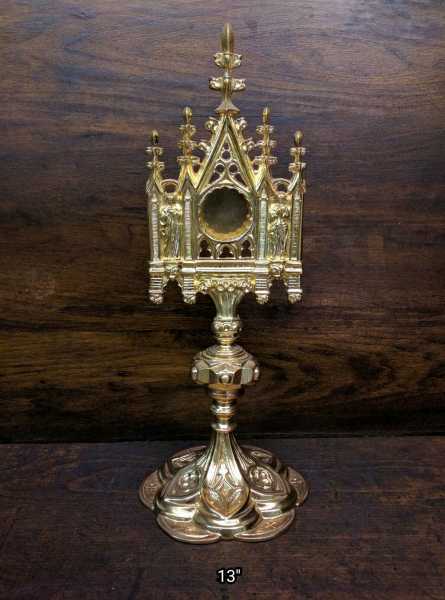 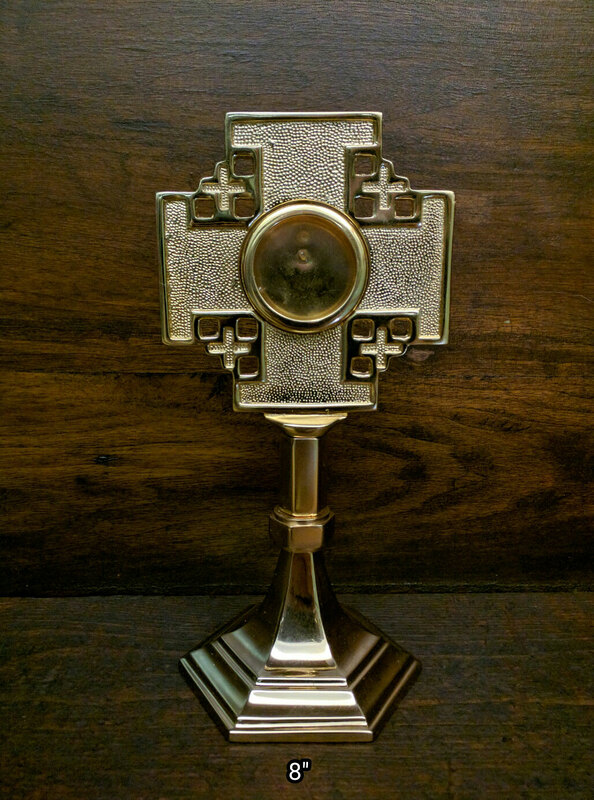 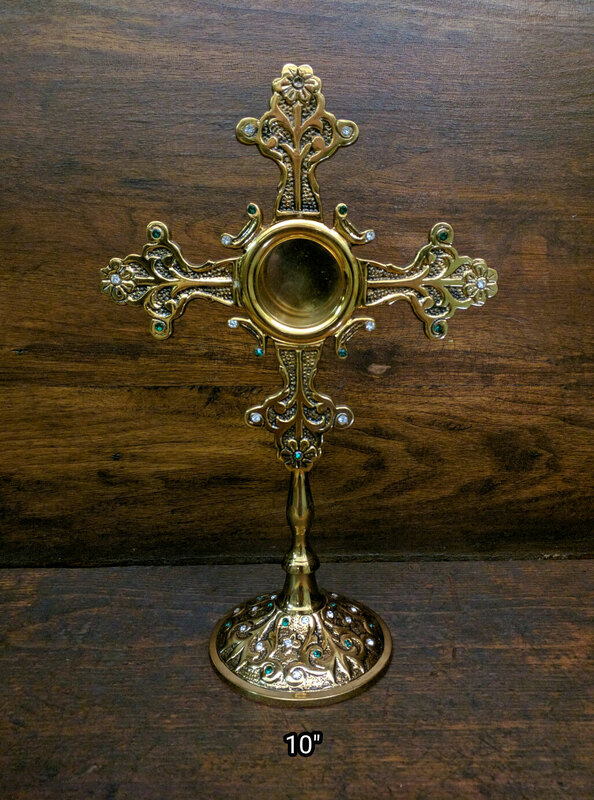 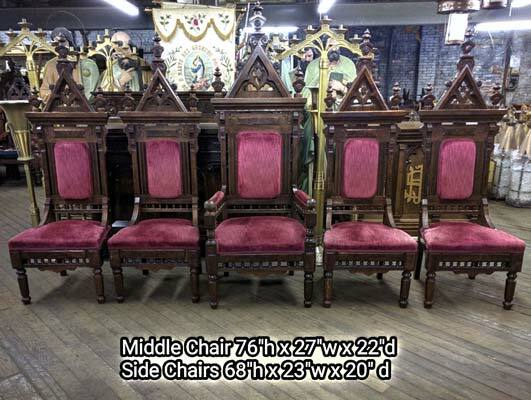 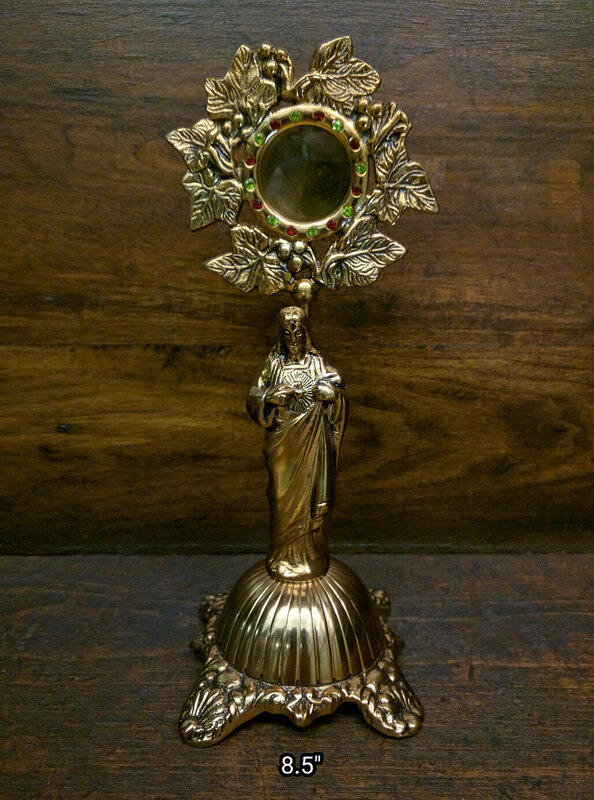 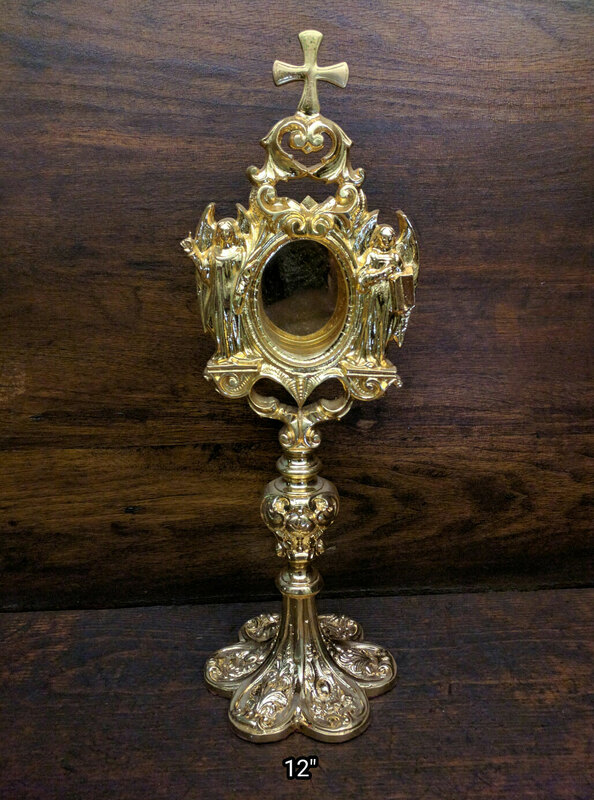 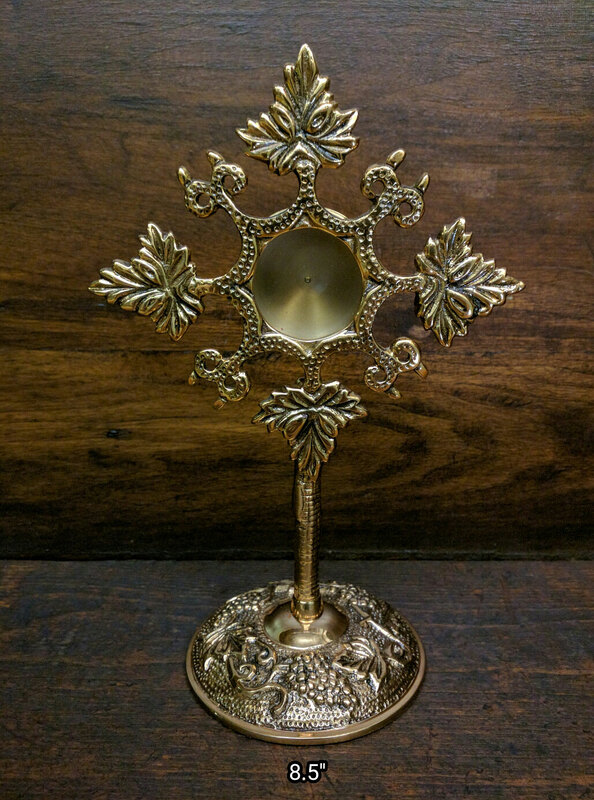 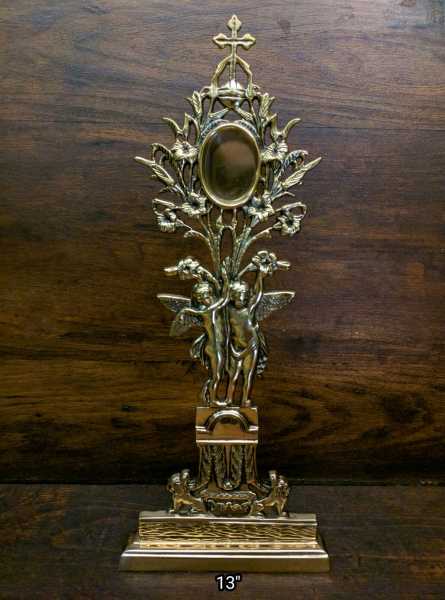 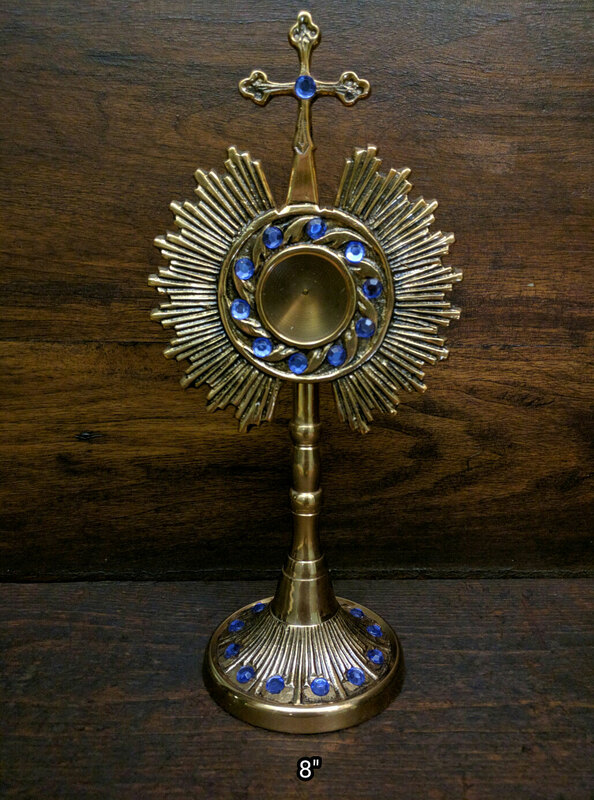 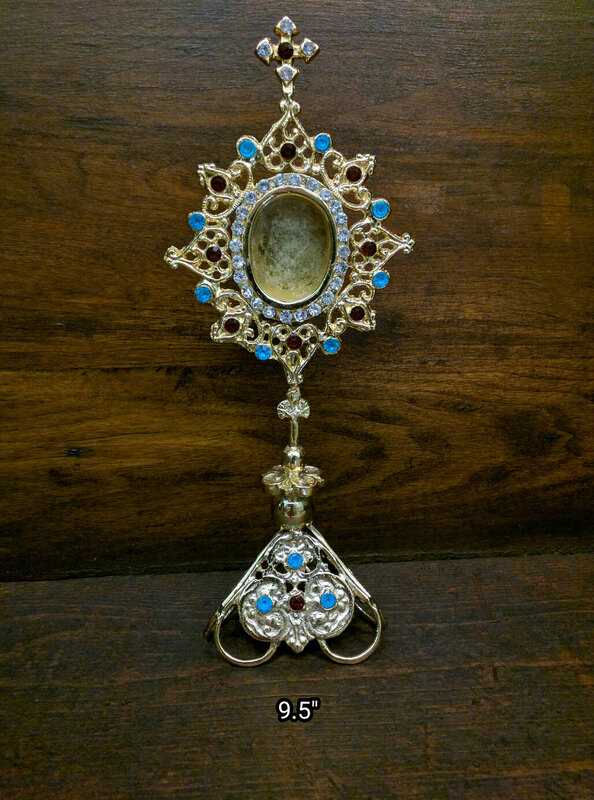 + Current inventory includes many gold plated reliquaries to venerate relics, amazing antique cast reliquaries, large chapel styled reliquaries and more.